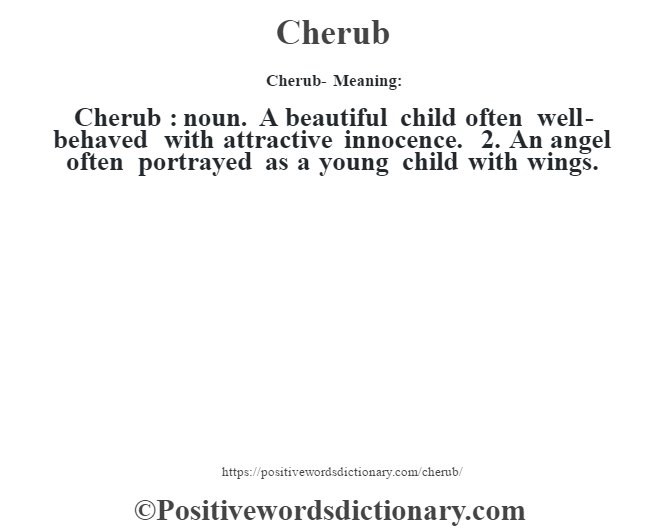 Cherub : noun. A beautiful child often well-behaved with attractive innocence. 2. An angel often portrayed as a young child with wings.